Turkey Hair Transplant – Did you know that Istanbul alone has over 300 hair transplant clinics? Hair transplantation is one of Turkey’s biggest industries. An average of 5,000 patients visit the country every month, boosting the Turkish economy by US$1 billion a year. With hair transplant becoming even more high-profile, Istanbul is well on its way to becoming the global hair transplant capital. But what draws patients to Turkey’s hair transplant industry? What makes Turkey a leader in this field? Though the country offers affordable hair transplants, the final results are marvellous. A Deciding Factor – Cost! A huge factor behind the rise of hair transplant in Turkey is the low cost. Prices in Turkey are incredibly accessible. For example, patients could spend £5,000 to £20,000 on a traditional hair transplant session in the UK. In the USA, they would spend US$15,000 to US$25,000 on that same procedure. In Turkey, however, the cost of a hair transplant procedure can be less than £2,000. This makes Turkey up to 85% cheaper than the UK or the USA. A lot of people wonder whether hair transplant surgeons in Turkey compromise on quality and results. Luckily, this is not the case. The cost of hair transplant surgery varies from one patient to another. The number of “grafts” will help patients to evaluate the cost of an FUE procedure. On average, each graft costs between US$3 and US$10 in the United States. In Turkey, on the other hand, each graft costs between US$0.50 and US$2. Are the end results good? Turkey offers very reasonably-priced hair transplants, yet the end results are marvellous. The outcome of every SHIFT hair transplant is very impressive. 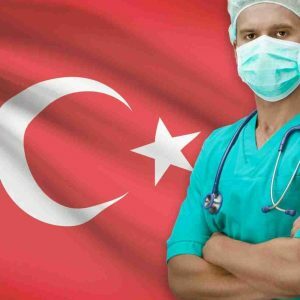 That is because surgeons in Turkey complete many training courses and follow the industry’s latest techniques and developments. Most hair transplant clinics in Turkey use state-of-the-art technology. These clinics are relatively new: designed by talented surgeons with the most modern equipment. Hair transplant in Turkey is a well-established industry, and Turkish hair transplant doctors are renowned throughout the world. They gain this reputation through prestigious qualifications and membership of professional organisations. The International Society of Hair Restoration Surgery (ISHRS) recognises surgeons operating in Turkey. The ISHRS was founded in 1993 and it is responsible for training and educating hair transplant surgeons. The ISHRS organises a whole range of conferences and workshops for up-and-coming hair transplant surgeons. Furthermore, with over 1,000 active doctors the ISHRS ensures top results from Turkey. Hair transplant surgeons in Turkey have authorisation to perform the Follicular Unit Extraction procedure and they are able to achieve results without any scars.